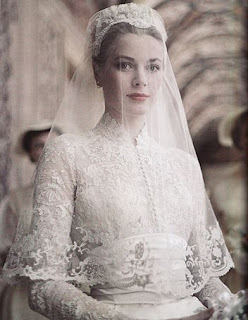 Princess Grace (Kelly) Receiving on her wedding day. O My God, should this day happen to be my last, I mean to receive this Communion, as my viaticum. I desire my last nourishment may be the body and blood of my Redeemer Jesus Christ: that my last words may be Jesus, Mary and Joseph, that the last affection of my heart may be an act of pure love, accompanied with unfeigned contrition. Amen. Viaticum is a term used especially in the Catholic Church for the Eucharist (Communion) administered, with or without anointing of the sick, to a person who is dying, and is thus a part of the last rites.